Regular exposure to music is both educational and fun! Who's that happy little fellow all dressed in red and yellow? Jo is the colourful, friendly character that actively participates in all of our classes. From his initial welcome, to his infectious waving and enthusiastic cuddles, Jo sings, dances and has a great imagination! It’s not uncommon to find him pretending to be a train driver, a monkey or even a teapot during class! He likes playing hide and seek with his friends, while at other times he simply falls asleep and needs some help to wake up again! Sometimes Jo is shy and needs encouragement too, but he always makes time for hugs when it is time to wave goodbye! What Happens at a Jo Jingles Class? A safe environment with a warm and friendly welcome! Classes which are carefully structured and designed according to age and ability. A weekly introduction to new and fun educational themes such as, colours, shapes, numbers and animals. We also use well-known nursery rhymes, games, props, visuals and action songs to get little bodies jingling along! All of our class presenters are fully DBS checked (or the equivalent check in regions where we operate). 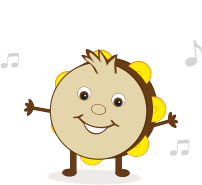 Watch as they join in with Little Jo who brings special surprises in his bag each week and is always ready to move to the music with fun actions – and with over 1,000 songs under his belt, from old favourites to the more unique, you can rest assured every class is different from one week to the next! We offer different classes for different age groups, which gradually enable children to be more independent and to use greater levels of skill. 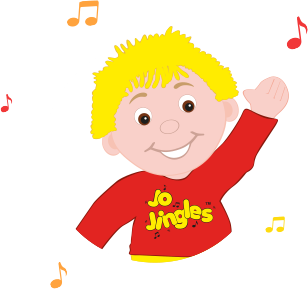 Jo Jingles classes also welcome children with special needs and our class teachers will work with you to discuss individual requirements. A child is more confident, usually speaks early and gains an early grasp of the rules of communication if started early in clapping games, group activities and musical games. Children who learn to sing and play together are more likely to lead successful lives than those who receive a more disciplined education. Music helps children to learn maths. 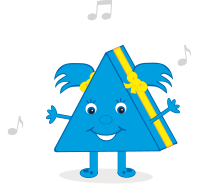 When children learn rhythm, they are learning ratios, fractions and proportions. Some parents already know that reading and singing nursery rhymes with their young children will get them off to a flying start.